What does Hodan mean, details, origin, short & easy attributes? Hodan is a very common name among immigrants from Somalia, but is very rarely used in the Nordic countries by people without immigration background. Hodan is baby boy name mainly popular in Muslim religion and its main origin is Arabic. Hodan name meanings is Guidance. Hodan is written in Urdu, Hindi, Arabic, Bangla as ہودان, होंदन, ہودان, হদান. Other similar sounding names can be Hoda. Each letter meanings in Hodan Name. Popular personalities with Hodan Name. Hodan Nalayeh is a media proprietor, marketing, activism, entrepreneurship, media executive, marketing consultant, activist, and entrepreneur. She holds the title President of the Cultural Integration Agency. Hodan was born in 1976 in Somalia. 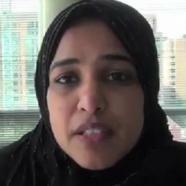 Hodan Ahmed is an activism and political activist. She holds the title Senior Program Officer at the National Democratic Institute and Senior Program Officer at theNational Democratic Institute. Hodan was born in Somalia.